H.E.R. is taking her sultry vocals on the road for her 2nd North American headlining tour. Woot! Chick is making sure she remains hot out in these streets while collecting her coins. The "Lost Souls" singer be kicking off the "I Used to Know HER" tour on November 10th in Atlanta before jetting to major cities, including New York, Chicago, San Francisco, Las Vegas, and more. The 21-date trek wraps December. 20th in San Francisco. And she'll be bringing Bri Steves and Tone Stith along as supporting acts. 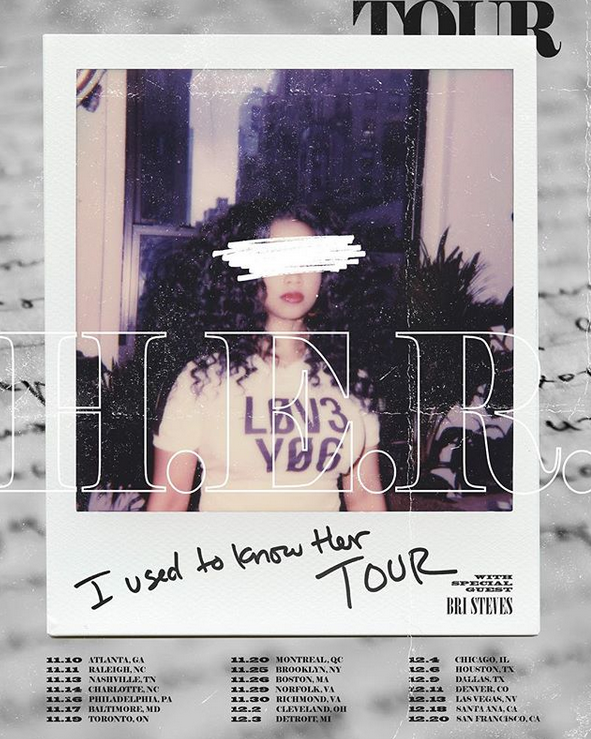 The tour is named after H.E.R.’s recently released EP, I Used To Know Her: The Prelude, which debuted at #1 on Billboard’s R&B Albums chart. And it's quite a few bops on it! Pre-sale tickets are available now and will go on sale to the general public starting Friday, September 14th. You copping a ticket? The cast of Season 27 of "Dancing With The Stars" has been revealed and it includes singer Tinashe! Get that ABC coin, OK?! She's partnered up with Brandon Armstrong and we predict them going pretty far into the competition, if not actually winning the Mirror Ball. Tinashe can dance her a** off. She's about to **** it up! Best medicine after a bad break up, i.e. Laker Ben Simmons. NEXT: Model Slick Woods Went Into LABOR As Soon As She Exited Rihanna's Savage x Fenty Runway!